Learn the basics of hand lettering with the popular online workshop that's inspired more than 50,000 Skillshare students! Lettering artist Mary Kate McDevitt covers everything beginners need to draw, ink, and transform handwriting into artful drawings. The introductory class is filled with links, resources, and project guides to support you along the way. Plus, the class student project gallery is filled with tons of guidance, examples, and tips for guiding your own lettering project. 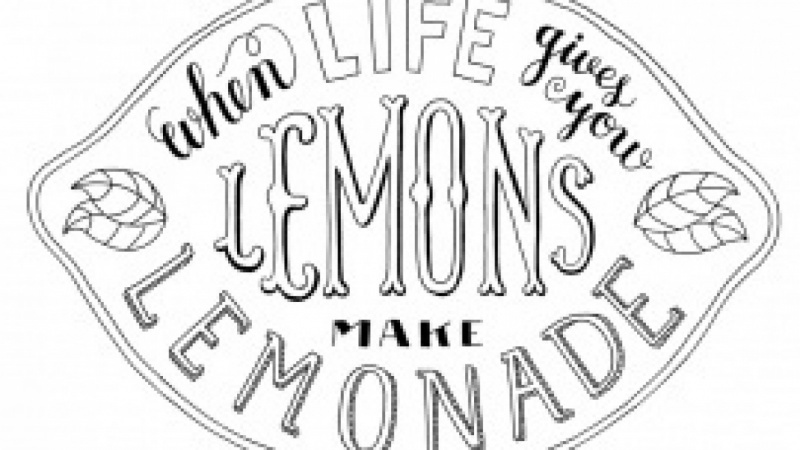 Sharpen your pencils — it's time to create some lettering! Introduction. In this lesson, illustrator Mary Kate McDevitt will take you through her hand lettering process, from concepting to sketching, and finally, refining her work. By the end of the class, you’ll have a framework for projects of your own, whether they be invitation lettering or poster design. Get started. Mary Kate will help you come up with a phrase to illustrate, laying out some guidelines for choosing a phrase that’s short and personal to you. You’ll get tips for gathering reference materials and creating a mood board. Tools. You’ll see the basic tools Mary Kate uses when she comes up with a lettering format, and you’ll learn the different line effects hard vs. soft pencils can create. Lettering warm up: part 1. 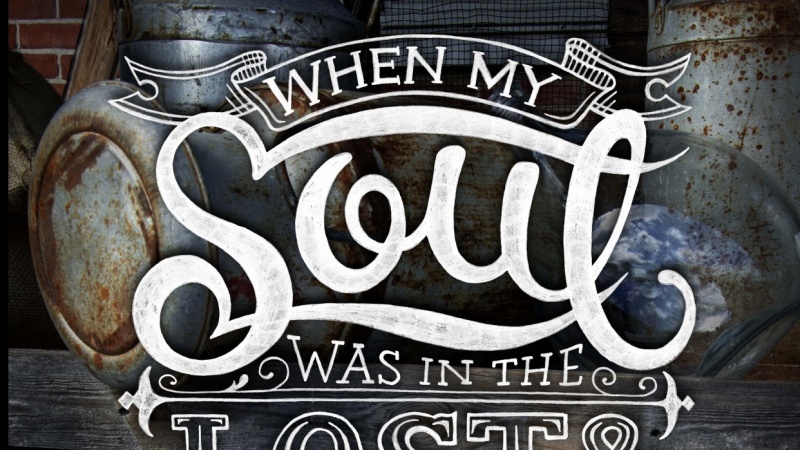 You’ll practice your typographic design by experimenting with different font lettering. Mary Kate will show you several writing styles you can choose from: script, in a curve, in a shape, fancy serif, black letter, sans serif, dimensional, representational, and serif. Lettering warm up: part 2. Mary Kate will demonstrate how to use a ruler and compass to make your designs more precise and draw drop shadows. Understanding hand-drawn letters. 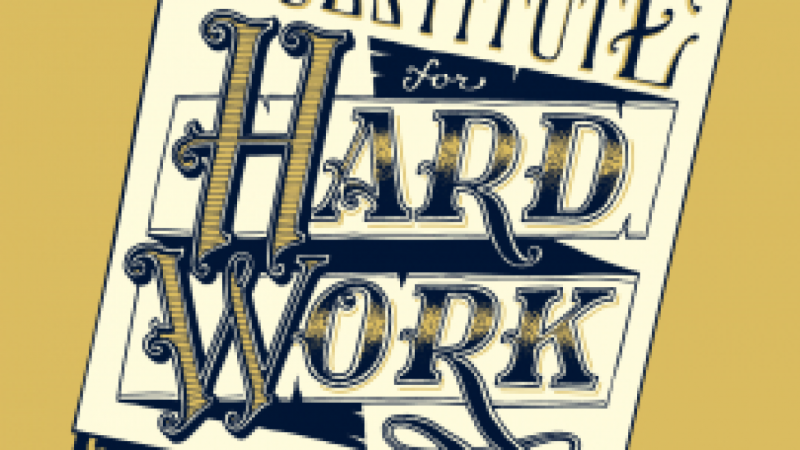 You’ll learn the four steps for creating intricate type design, and get a lesson in typical beginner hand lettering mistakes. More tips. 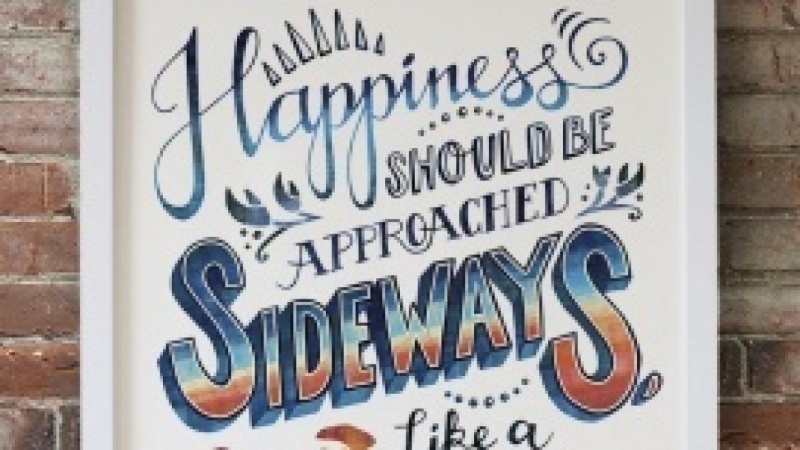 You’ll get a quick rundown of hand lettering tips as Mary Kate draws the alphabet, from trying new styles to keeping curves smooth and incorporating ornamentation. Thumbnails. Now that you’ve decided on your typography, it’s time to come up with a basic layout for your lettering concept. This is where thumbnails come in. You’ll learn how to draw within small boxes to position your letters and design the overall composition for your sketch. Sketching: part 1. You’ll pick a few of your favorite thumbnails and turn one of them into a sketch. 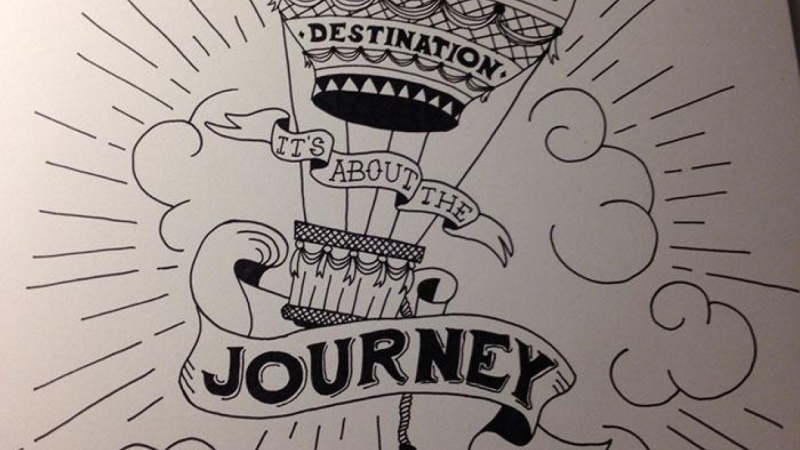 Mary Kate will show you some of her past projects and her sample sketches for this exercise. Sketching: part 2. You’ll learn how Mary Kate designs a book cover, starting with pencil guidelines that help her space out the different words in her chosen phrase. Next, you’ll explore how to incorporate other images into your design, appropriately weighting words and images in your final sketch. You’ll see how to fill a blank page by balancing your text and the lights and darks in your design. During this step, you will continue to rely on your mood board for design flourishes and background imagery. Refining your sketch. You’ll learn how to use a light table to create a less rough version of your sketch. This is the time to make final touches, like throwing in extra details and tightening up the images from your first draft. Final inking. You’ll watch as Mary Kate uses the light box once again, this time to ink her drawing. She’ll teach you how to address mistakes that crop up at this point in the process by making final adjustments when you upload your inked drawing to the computer. 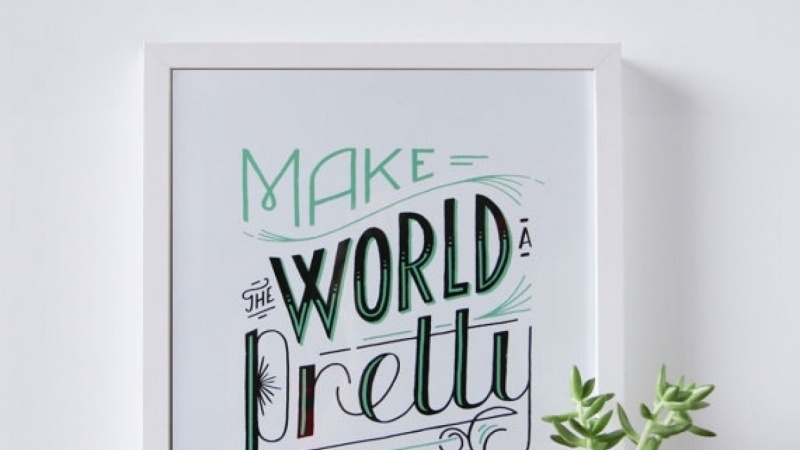 Be sure to explore all of Mary Kate McDevitt's lettering classes on Skillshare! Hand letter your favorite quote, title, or phrase. My new book Illustration Workshop is available for purchase on Amazon and a book store near you! You can purchase it online here! I'm excited to announce my new journal Every Day is Epic is officially out today! This journal takes the pressure off documenting a regular day by framing it with illustrations, funny quips and plenty of places to doodle.